Walnut Creek is a public course located along I-69 at the Gas City exit 259, the first exit south of Marion. We are part of a trail of great golf courses along the I-69 corridor. Walnut Creek is a favorite golf stopping point for Michigan golfers looking for just the right place to spend a few days golfing. Autumn Ridge Golf Club, located in Fort Wayne, Indiana, has developed into one of the most relaxing, yet challenging courses in the area. Golf Digest has awarded the facility a Four Star rating. Looking for a golfer's getaway that is close to home, affordable, and offers world-class courses? 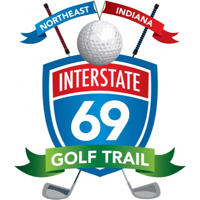 Take a road trip along Northeast Indiana's I-69 to discover your next golf getaway! 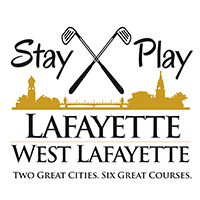 Both Fort Wayne and Grant County, Indiana offer outstanding Stay-and-Play packages that enable you to make a weekend of it and take in 18-36-even 72 outstanding holes of golf! ~ Packages start at $67, includes 18 holes w/cart and lodging: Dbbl occp required. ~ Price for two persons: $144 plus tax includes lodging and 18 holes of golf with cart. 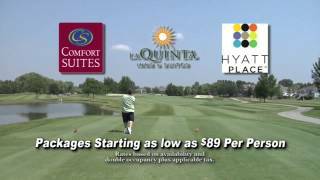 Watch the Autumn Ridge Golf Club Video.